James Franco, (much like Tommy Wiseau the man he plays), directs, produces, and stars in The Disaster Artist, easily his finest film to date. Based on a book by Greg Sestero about the nightmare experience of making a horrendous movie called The Room, and the extremely strange experience of being friends with the writer, director, producer, and star, Tommy Wiseau. The Disaster Artist is about these two friends, Tommy Wiseau and Greg Sestero, two struggling actors trying to make it in Hollywood. When they decide to instead make a film, Tommy writes a script and then finances the whole thing from seemingly unending, and completely mysterious, resources. The movie that they make is the infamous The Room, often cited as the best worst movie ever made. If you’ve seen The Room, you will no doubt asked yourself: how did this get made? The Disaster Artist is here to answer that in the most enjoyable way possible. Even just from watching the trailer for this film, it is quite obvious that James Franco has been completely transformed, undergoing two and half hours of prosthetics each day for shooting and staying in the mysterious accent of Tommy throughout filming (although directing much better than Tommy, of course). Throughout the movie, he is almost indistinguishable from the real Wiseau, and if this was a drama biopic rather than a hilarious comedy, Franco would probably be in the running for an Oscar. The ensemble cast of all your favourite comedic actors are each excellent and you eventually stop being dazzled by the extended cameos of each. What you maybe wouldn’t expect from this movie is to be moved, but the friendship between Tommy and Greg, and Tommy’s outsider status and earnest nature is endearing and surprising. It’s similar in so many ways to the experience of watching The Room, Tommy is this ridiculous character and he made this insane film and you are laughing at him, but you also cannot help but to like him. Franco captures this perfectly in The Disaster Artist, and is never cruel about his subject, but treats it with the love of a fan. You realise whilst watching the film that James Franco and Tommy Wiseau have quite a bit in common. Franco has more failures as a filmmaker than Wiseau, similarly made from some absurd hubris. But, The Disaster Artist is finally where he finds his footing, and it is not in the venerable works of William Faulkner or Cormac McCarthy, but instead in the telling of a story of a man who failed to make a good movie, but accidentally made a great one. Franco has finally delivered on his promise as a filmmaker and I’m so glad that this beautiful and absurd movie is it. Ultimately there is no greater recommendation for a comedy than simply it is very, very funny and that you will laugh. 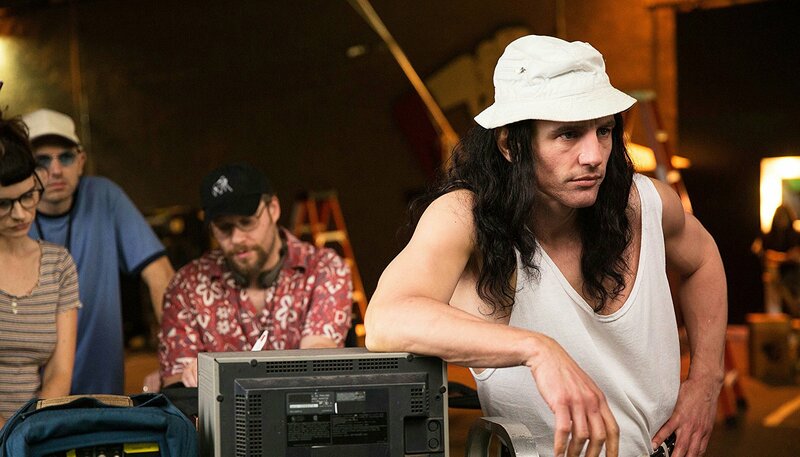 The Disaster Artist is without a doubt the best movie about a bad movie.